First published in Onya Magazine on March 23rd, 2011. 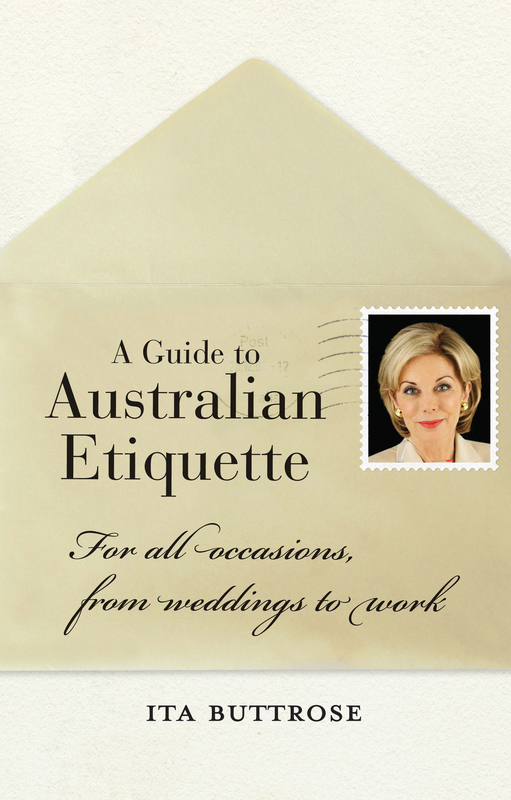 In this updated edition of her classic, Ita Buttrose, AO, OBE, sets the record straight in her latest, and tenth, book; A Guide To Australian Etiquette. “Times may have changed but good manners never go out of fashion,” says Buttrose. Twice voted Australia’s most admired woman, and following her extensive career in print, radio and television, it makes perfect sense to me that Buttrose, a woman of, but not only limited to, grace and style should pen a guide to cover all occasions – from work to weddings. What I love about A Guide To Australian Etiquette is that it covers more than just your usual thank you notes and order of cutlery on a table; of course, those topics are included, as well as a series of chapters on weddings, but there’s some entirely other sections that I think I’ll be referring to more often; business etiquette, environmental etiquette, dogs (and their owners), the language of flowers (a list of flowers and their meanings) and how to carve meat and poultry correctly. I particularly love the ‘Out and About’ chapter covering everything from supermarket shopping to public transport to attending the football to eating with chopsticks. Dishing out advice on sharing personal information on social networking sites to how to behave in a mosque, Buttrose’s A Guide To Australian Etiquette is refreshing and realistic; because we all know that sometimes you need to carve you steak and eat it too. ← I’m Trying To Be Less Judgemental.